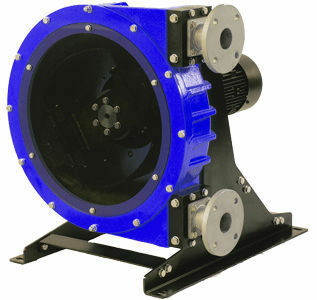 The principle of the peristaltic pump is very simple: a tube is crushed by a rotating roller tube peristaltic is available in various sizes and in a significant number of elastomers, type elastomer peristaltic tubes is chosen according to its chemical compatibility with the fluid to be conveyed. Robust design with integrated housing in the pump body. 800l / h you can make a choice in the series peristaltic pump TF-AMP. 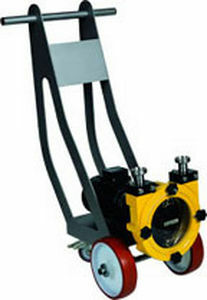 By cons, if the pump outlet pressure is above 8 bar or the conditions are difficult series of peristaltic pumps RBT allows you to perform operations up to 15bar pump or pneumatic pumps high-pressure membranes filter press.